A woman convicted of killing her mother has been granted another six months of day parole. 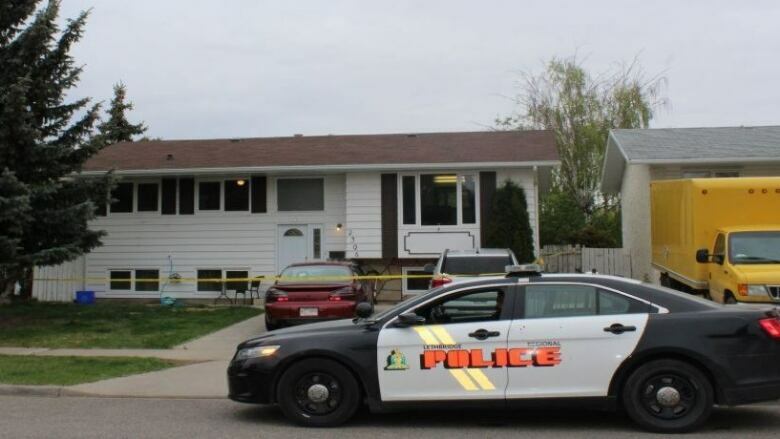 Jessica Leann Praill, 31, of Lethbridge, Alta., stabbed her sleeping mother, 54-year-old Shelley Kristine Praill, who died from a laceration to her heart in April 2016. The daughter admitted to the stabbing death in Nov. 2016 and for manslaughter, she was sentenced to eight years in federal prison, less 288 days for time served in pre-trial custody. Praill was first granted day parole in Sept. 2018, and resided in a community residential facility. This latest decision extended that release. Should she complete these next six months successfully, the board said her case management team recommends she be released on full parole. In a March 19 decision, the Parole Board of Canada said it was satisfied that Praill had complied with her conditions and made adequate progress, including with demonstrating "stability with your mental health" and "addressing your emotional needs." She has bipolar disorder and depression, the board has said. Praill has admitted to hearing voices, which tend to be paranoid in nature, the board's statement said. Those voices have asked, for example, why anyone would be nice to her. The decision noted she had maintained contact with mental health professionals while on day parole. Court previously heard that Praill had lived with her sister and mother in Lethbridge. Their relationship was strained, and the sister told police that their mother had been emotionally and sometimes physically abusive in their youth. The day of the stabbing, Praill and her mother got into an argument. That evening, Praill started thinking about how she was angry at her mother, then grabbed a knife from the kitchen and went to her mother's bedroom. She stabbed her once in the side, an agreed statement of facts said. The mother died during emergency surgery. The board said Praill has been making plans for full parole, which her management team recommends, provided she abide by the same conditions. Those conditions include not consuming, possessing or buying alcohol, that she must follow her treatment plan and take medication as prescribed. Once on full parole, the board said she plans to live in a different community and attend college programming before looking for employment. Praill has already been applying for financial support, the board said. "Your risk is assessed as manageable on full parole," the report said. Her accountability, motivation and reintegration potential were assessed as high, the board said. She was ranked at a medium level of intervention based on static factors, and when based on dynamic factors, the ranking was a low level of intervention.